Your prompt response would be most appreciated. Retirees with assets in different types of accounts (tax-deferred, taxable and Roth) can take advantage of those accounts� tax characteristics. A tax-efficient withdrawal strategy can extend the life of your portfolio and preserve assets for your heirs. 1. Ways to improve on the conventional strategy of drawing on a taxable account first, followed by tax-deferred and then Roth. 2. How you may be able to take advantage of income in a low tax bracket or tax-free capital gains. 3. Which assets to withdraw and which assets to leave to your heirs. Roger Young is Vice President and senior financial planner with T. Rowe Price Associates in Owings Mills, Md. Roger draws upon his previous experience as a financial adviser to share practical insights on retirement and personal finance topics of interest to individuals and advisers. 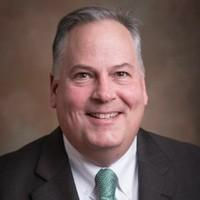 Roger has master's degrees from Carnegie Mellon University and the University of Maryland, as well as a BBA in accounting from Loyola College (Md.). He has earned the CERTIFIED FINANCIAL PLANNER� designation and is a Series 7 and 66 registered representative. A father of three, Roger supports organizations that benefit young people and serves on the board of directors for Junior Achievement of Central Maryland. Yes I will be attending the Saturday, May 4meeting. No I can not attend the meeting. Copyright 2019 Michael B. Herr. All rights reserved. This aaiibaltimore.com website is an Investment Education Chapter of the American Association of Individual Investors.